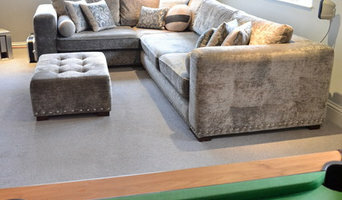 At Dyke & Read we offer you a first class upholstery service. Our skilled craftsmen take enormous pride in creating sofas and chairs that they know you’ll enjoy using for many years. Everything is handmade from start to finish and delivered to you by us. This is the standard you should expect from the most expensive upholsterers, but being canny Northerners, we’ve managed to bring home the bacon at a great price. Dyke & Read is [yes, you’ve guessed it] a joint adventure between Ann Dyke, the manager and designer at Allen Upholstery, a long established [over 30 years) and well regarded Sheffield company and Chris Read, of Read Interiors interior designer based in the Peak District. 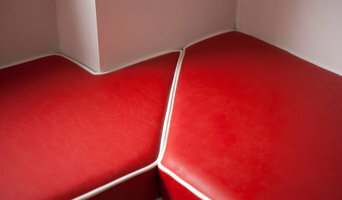 We have together been designing bespoke upholstery together for Chris’s clients for over 10 years. It took a long time for it to dawn on us that we’ve been making sofas and chairs that others might like too – so here we are! We both still maintain our ‘day jobs’ – Ann is the backbone of Allen’s, and Chris’s passion is interior design – here honed down to the upholstery side. Chris set up initially as a sole trader, and in 2007, as her success grew, decided it was time to formalise it into a limited company, Read Interiors Ltd. Dyke and Read is a trading name of Read Interiors Ltd.
MacNicholas Brewster design and manufacture hand made upholstered sofas, corner suites, ottomans, footstools, beds, easy & occasional chairs to retail and commercial requirements. From an initial home or site visit through consultation and manufacture we deliver customer service and quality workmanship. At Choose at Home Blinds love nothing more than helping you choose the right blinds, and in what better place than your own home. Take time to offer up colour matches and sample blinds in your own living room, kitchen or conservatory. Ensure colours and styles match your furnishing, cushions, curtains and sofas before making your decision. On our site we have done our best to show you a wide range of blinds, in different styles and environments. We hope you like it. 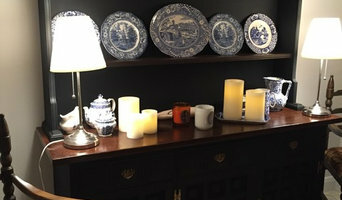 Done up North specialises in beautiful contemporary and vintage furniture makeovers. Furniture painting and restoration services. Furniture Upcycling tutorials and workshops. Our ethos is to be reduce, recycle and repurpose wherever possible to create unique, unusual, stylish and sustainable furniture. Our online shop has our latest finished pieces but we love to work with our customers to update pieces you already own or we are happy to source pieces to order and work with you to create a custom design. Check out some of our customer projects here on Houzz. There are more projects and customer reviews over on our website too. Done up North is one of the regularly featured designers in Reloved Magazine and is a member of the Flip Runway Magazine Design Lab UK team where we share ideas, inspiration and tips & tricks with readers. You can read some of the makes we've shared in the News and Articles section of the website. New for 2018 we will be offering our own brand of furniture upcycling workshops to give you the techniques to give your own furniture striking modern new looks. We also collaborate with other small businesses and social enterprises to promote upcycling and local creative initiatives. R Mortimer & Son is a family run French polishing business based in Sheffield. With over 80 years of trading offering our clients the very highest quality craftsmanship available. High class Furniture restoration, professional paint spraying & all luxury wood restoration projects. We also offer creative & imaginative kitchen refurbishments to your existing kitchen in paint effects & classic wood finishes. Essentially, upholsterers work with fabric to cover seating, bedsprings, cornice boards, pillows and other furnishings and interior elements. They also might attach or replace padding and batting, trim a piece with fringe or another border, add piping and tufting, fashion slipcovers and refinish wood. 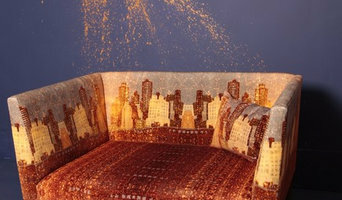 Some upholsterers are skilled at furniture construction and repair. They can also advise you about the pros and cons of different fabrics so you can choose the best type for the project in your New Mills home. Find an upholsterer on Houzz. 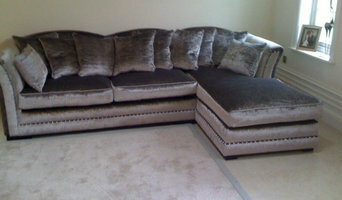 Narrow your search in the Professionals section of the website to New Mills, Derbyshire, UK upholstery. You can also look through Derbyshire photos for projects similar to yours, and contact the designer for upholstery information.